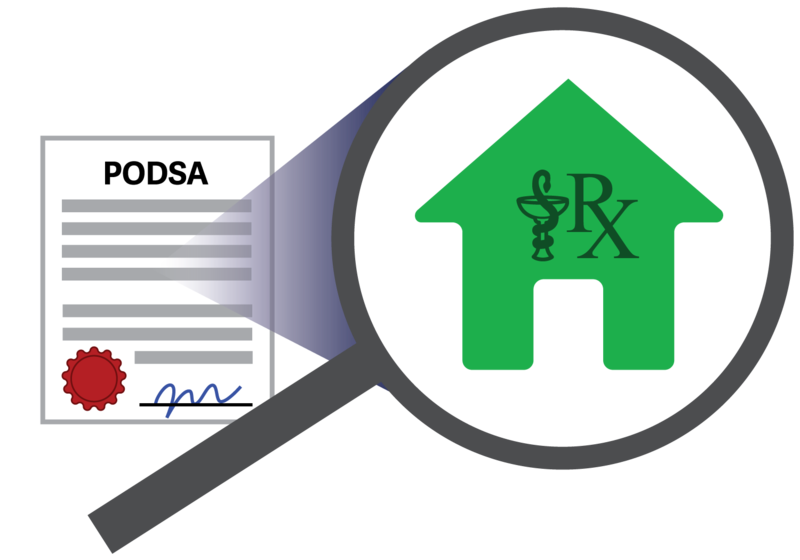 One of the key changes in the amendments to the Pharmacy Operations and Drug Scheduling Act involves shifting responsibilities from the pharmacy manager to the direct owner for renewing a pharmacy licence. Each pharmacy will need to determine an authorized representative for the direct owner to lead the completion of pharmacy licence renewals. Here’s how to get started with selecting an authorized representative and preparing for a pharmacy licence renewal under the new pharmacy ownership requirements. Inform them that they will be required to complete an attestation annually, and a criminal record history once every 5 years as part of the pharmacy licence renewal. Following up with any missing requirements or with individuals who have not submitted their Proof of Eligibility. Authorized representatives will have access through an eServices account and will be able to monitor both when requirements have been submitted and whether each applicable individual has submitted their proof of eligibility requirements. It is recommended that owners identify discrepancies between their BC Company Summary and the College’s records regarding the name and number of Directors associated with your pharmacy. If a discrepancy is found, a Change of Director application should be submitted on or before March 31, 2018. Applications submitted after this date will require the new indirect owner to submit their Proof of Eligibility before the change application will be approved and complete. Inform them about the new ownership requirements coming into effect soon. Inform them that they will be required to complete an attestation annually, and a criminal record history once every 5 years in order to complete their pharmacy licence renewal. Confirm that the name they have listed in the BC Company Summary or Central Securities Register is their legal name. If not, make amendments as soon as possible. Collect their email addresses, and inform them that they should expect to receive an email from the College regarding the completion of their Proof of Eligibility. If your pharmacy has indirect owners that are publicly traded corporations, these corporations are not required to provide any corporate information or email contacts. Decide who will be responsible for obtaining and uploading the business licence on eServices (if not the pharmacy manager or authorized representative). You must ensure that the copy of the business licence you obtain is still valid for pharmacy licence renewal. Confirm that the name they have listed in the BC Company Summary is their legal name. If not, make amendments as soon as possible. *Shareholders information is not required. Watch for additional New Pharmacy Ownership Requirements articles in the months ahead on ReadLinks. These articles feature important new requirements for pharmacy licensure and renewals to help pharmacies prepare to meet the new requirements.